Ridge Accommodation Pretoria - Waterkloof Accommodation. Our separate apartment with private entrance is situated in the popular suburb of Waterkloof Ridge Extension in Pretoria, in walking distance to a small shopping complex with Dros, Mc Donald and other restaurants. With quick access to R 21 & N1, it is close to major shopping centres such as Menlyn Maine, Brooklyn Mall, Irene Mall and 5 min away from the Kloof Mediclinic Hospital. The Hatfield Gautrain station is a 10 min drive away. We are also 30 min drive from OR Tambo & Lanseria Airport. 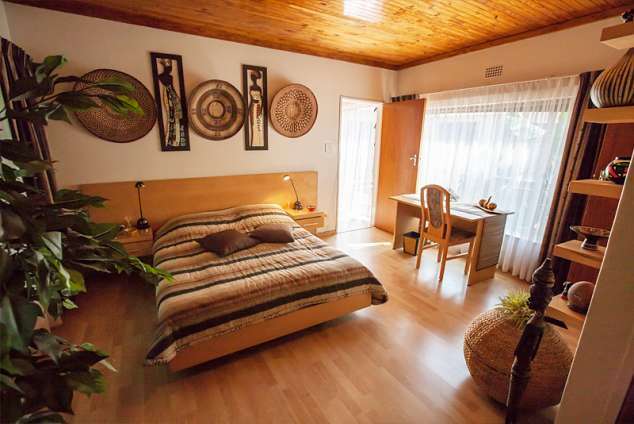 Ridge Accommodation Pretoria apartment features a private living room, a bedroom with queen size bed, private en-suite bathroom with toilet, bath and shower. There is a desk, fridge, as well as DSTV Premium in the private living room and a small private terrace. We offer free 10 Mbps Fibre 100 GB soft cap Wi- Fi. There is covered and secure parking on the premises. 1416 page views since 19 Apr, 2017.